Willy Walker walked purposefully to the center of the stage and addressed the 400 people in the audience. The audience was made up of Willy’s partners, associates, and top performers so they all paid rapt attention when he continued. With that, Willy went on to talk to his folks about what they had all accomplished over the last year and where they were going in the future. 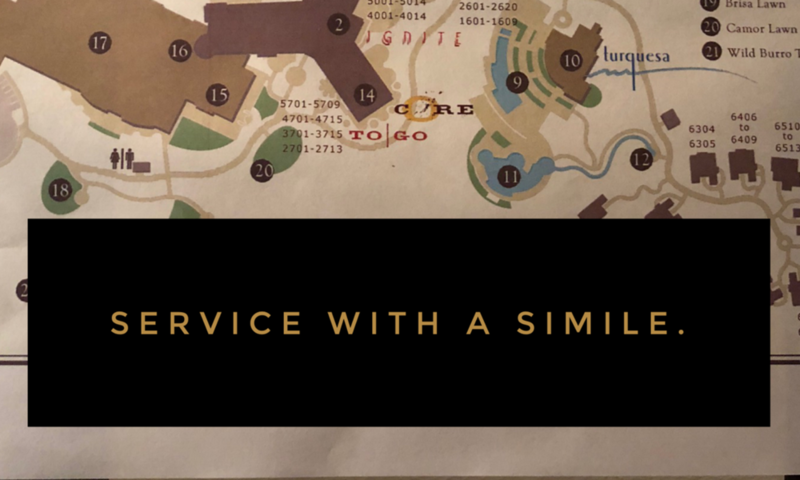 He used the Ritz-Carlton story as just one interesting illustration of how an All About Them culture was an important part of Walker & Dunlop’s client service and its business. Please find this map showing the way from your room to the gym. Big company capabilities, small company touch and feel. 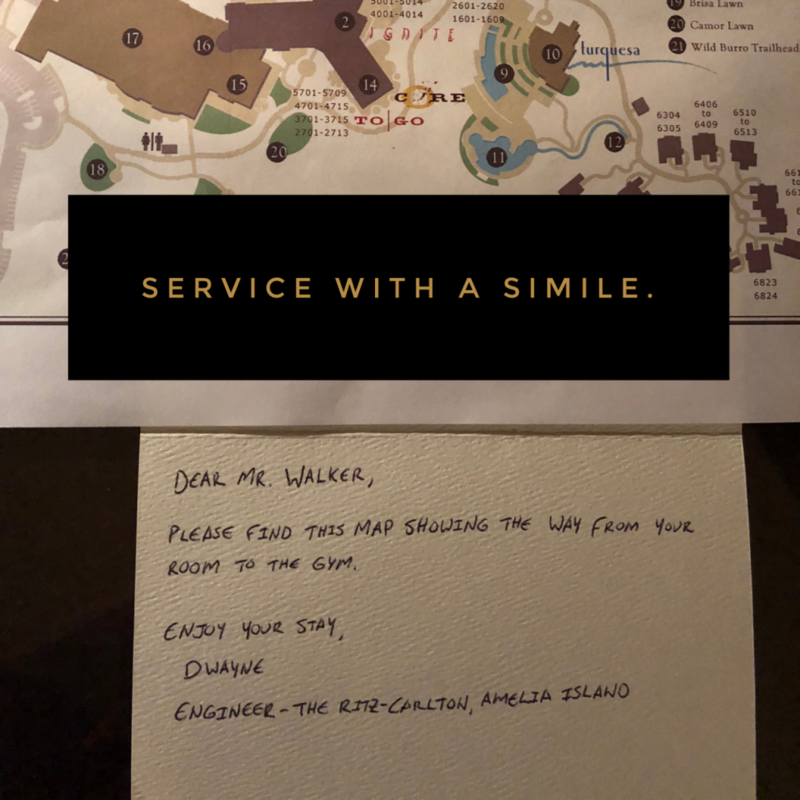 That the Amelia Island Ritz-Carlton management took the time and initiative to check Willy’s travel schedule and let him know they were thinking of him is remarkable enough. But maybe that’s a good business practice that’s not immediately usable in your own life. What is replicable is how Willy both used the story and its follow up to make an ongoing point. Even more usable is Willy’s metaphorical question, “When was the last time you walked a W&D client to the gym?” because it took an enlightening and amusing story and moved it from being company- centric to consumer-centric (one of the key tenants of All About Them). By summing up the story that way, Willy not only entertained his audience but gave them an actionable idea that they can use to improve their own business right away. And when he did that, Willy created a spirit of customer service that will serve his business, his employees, and his customers.